Of interest to the new crypto industry – the U.S. Securities Exchange Commission (SEC) has issued several information requests and subpoenas to companies, investors and advisers that are involved in cryptocurrency exchanges. This comes after warnings that initial coin offerings (ICOs) might be violating securities laws, and indicates that the SEC plans on thoroughly examining ICOs. You can read about the SEC cracking down on companies looking to take part in the cryptocurrency boom in the recent Recorder article by Benjamin Klein, Deborah Meshulam and Jason Chang. You can learn more about cryptocurrency by attending our upcoming Cryptocurrencies, Blockchain & Initial Coin Offerings seminar on June 22nd in Los Angeles. The huge expansion in Bitcoin & digital currencies and ICOs in states across the nation and globally has led to a significant need for attorneys proficient in the cutting-edge use of related legal and regulatory issues. Join expert faculty in this detailed introduction to the industry so you may advise and represent your clients effectively. 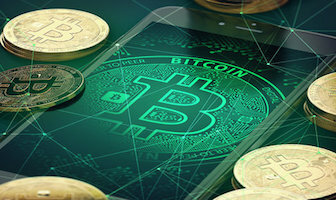 Cryptocurrencies like Bitcoin have been around for years, however, lately they’ve been a hot topic in the news and among attorneys. This blog post from Jennifer Post, of Thompson Coburn, sheds some light on the issue. Jennifer will be speaking at our Cryptocurrencies, Blockchain & Initial Coin Offerings seminar in June 2018. Virtual currencies remain largely unregulated, as well as the activities which support them (exchanges, wallets, etc). However, due to sudden interest from investors and the creation of several new cryptocurrencies, state lawmakers are beginning to consider how they should regulate these activities. Learn more by reading Jennifer’s post and at our upcoming Cryptocurrencies, Blockchain & Initial Coin Offerings seminar in June 2018.